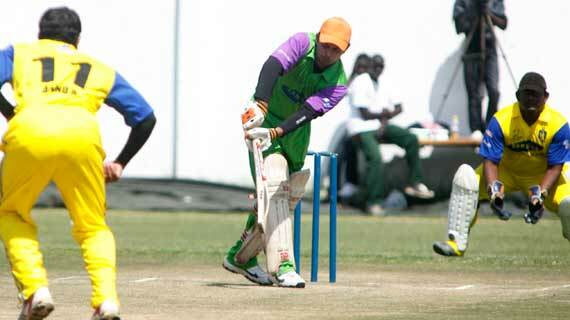 Masai Mara Tuskers beat Coast Super Kings by 4 Wickets to emerge the winners of the 2012 Samsung cup organized by Stray Lions cricket club and the South Indian community at the Nairobi Simba Union. Kings won the toss and elected to bat first. They scored 268 for the loss of 8 wickets in their allocated 40 overs. Captain Anand Ranganathan, who was also named the Bastman of the match scored highest with 85 runs in 69 balls. His teammate Arun Balaraman had 46 runs in 43 balls. Tuskers who were chasing the match 269 achieved the target with the loss of six wickets in 38.5 overs with 7 balls to spare. Man of the match Shijas Ahmed scored 91 runs in 102 balls to steer Mara Tuskers to chase the target. Fielder of the match Thanu Moorthy scored 40 runs in 33 balls to guide his team to victory. Coa Kings conceded 48 extras ( 37 wides). Pick of the bowlers for Coast Super Kings were Shameel Farooq 3/51 in 8 overs and Vighnesh Ilangovan 1/31 in 4 overs.while of Tuskers were Chidambaran Subramanian 3/37 in 8 overs and Sujith Nair 2/51 in 7 overs. This brought to a climax weeks of excitement in a tournament organized by Stray Lions cricket club and the South Indian community which has been going on at the at the Simba Union Club.